Fortnite: Battle Royale is a last-man-standing game where 100 players drop onto an island to loot weapons and gear and fight each other. How will you survive the odds? Check out these tips to help you achieve a victory royale and show all your friends that you're the best around. The first step of every game in Fortnite is to land as fast as you can and find a weapon, because other players will be looking to kill you as quick as they can. As you're landing, look around you to see where other players are, and be ready for a fight. If you can see a weapon on a rooftop, head for it and try to grab it before someone else can, as it is usually the quickest way to arm yourself. Sometimes the safer play is to land outside of a bigger town or city in one of the smaller groups of buildings to give yourself some time to find loot before fighting anyone. It's up to you and your playstyle, but sometimes it is better to be safe than immediately re-queuing for another match. Make sure to grab healing items like bandages and shields. Shields are especially important, as they can effectively double your health from 100 to 200. This cannot be stressed enough: building is key in Fortnite: Battle Royale. This unique gameplay mechanic can be hard to get used to at first, but it is a necessity. Get familiar with the building controls, customize them if you have to, and get ready to be putting up walls and staircases a lot. A common tactic in Fortnite is to immediately throw up walls when you get hit with gunfire. They will protect you and buy you some time to react to what's happening around you, and give you a chance to survive. Learn to build yourself into enclosed structures that protect you from multiple angles to lessen the chance of you being sniped or picked off from a distance. 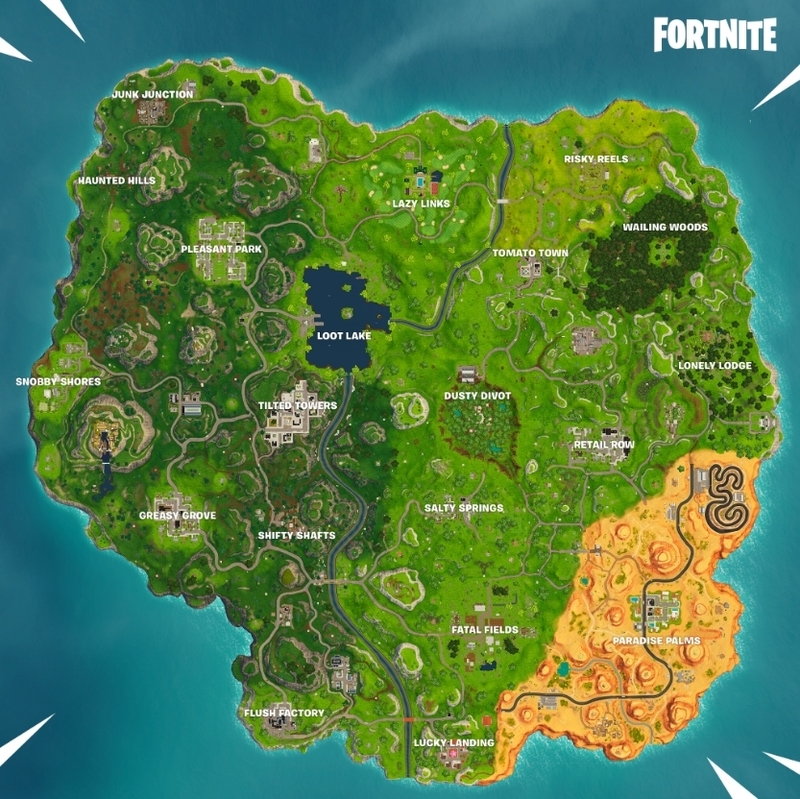 Fortnite is a classic pick-up-and-play game, but some knowledge of the map is necessary. It definitely helps to know where people usually land and where some of the best loot is. Like in most battle royale games, the circle of death will soon be approaching. How you play a match will have a lot to do with where the first circle spawns and where you are in it. If you're in the middle of the circle, you don't need to worry about moving as much, and can focus on looting and staying alive. But if you're on the outside looking in, the clock will be ticking and you'll need to loot fast before you have to move, all while worrying about enemies around you. Being on the inside isn't completely safe either, though, as you will be vulnerable to enemies from multiple directions. If you're pushing the circle to get into it, you can have a general idea that other enemies will be going in the same direction. In the end, it will boil down to forts, especially in Duos and Squads. Enemies in the circle will likely set up shop to protect themselves from others pushing in, and if you're in the circle, that's a safe play as well. It could come down to whose fort is the best-built, who has high-ground advantage, or who has the most explosives to take down an enemy fort.